All Tata Harper skincare is 100% natural without any synthetics, 100% non-toxic and with one-of-a-kind formulas. They are their own manufacturers too. This holiday season Tata Harper has two very special items that she wants you to know are very dear to her heart, that she thinks would make great holiday gifts. The two items I am referring to are The Illuminating Moisturizer ($85.00) and Illuminating Eye Cream ($95.00). Both are very special products and work great day and night. Diamond dust, uniquely paired with a special blend of mineral, provides a perfecting veil that imparts a subtle, soft-focus luminescence in this luxurious complexion-perfecting moisturizer. Hyaluronic acid plumps and hydrates for fresh and glowing looking skin. It instantly illuminates the subtle contours with light for skin that has the plump, glowing look of youth. It provides hydration and moisture barrier protection. 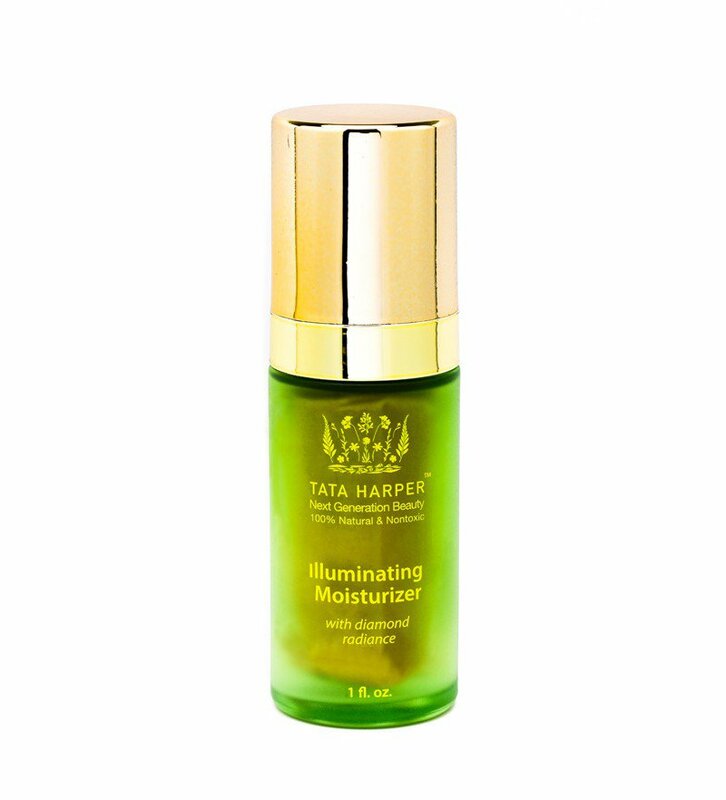 The Illuminating Moisturizer helps reduce the appearance of fine lines and wrinkles. This moisturizer provides a beautiful, soft luminescence when worn over the entire face and can also be used over foundation for spot highlighting or strobing. Use AM and PM. For all skin types. This moisturizer is one of the best I have ever used. Having all natural ingredients and being from one of the finest lines it is a pleasure to work with Tata Harper skincare. I love this moisturizer. It goes on and sinks into the skin leaving only the diamond dust luminescence on top of the skin to make it glow. Skin looks and feels amazing. This is a complete age-defying eye treatment with a soft-focus luminescence that uses real diamond dust for a highlighting effect. This cream instantly illuminates the look of the eye area. It minimizes the appearance of crow's feet and wrinkles. And finally, it reduces the appearance of puffiness, dark shadows and fatigue. It provides light coverage, so it is great for wearing on its own but can also be won over concealer. It doubles as a luminizing eye shadow when applied on the eyelid. This eye cream is also great. It goes on easily and also sinks right into the skin while leaving eyes glowing. It only takes a small amount to do the job so the bottle should last a very long time. It takes away all puffiness, dark circles and signs of fatigue. This is one very nice eye cream. These would make great gifts for skincare junkies, those who are really into natural skincare or those who love new skincare brands. Tata Harper is available from www.tataharperskincare.com. Like Tata Harper Skincare on Facebook: https://www.facebook.com/TataHarperSkinCare/?fref=nf; Follow Tata Harper Skincare on Twitter: @TataHarper; Follow Tata Harper Skincare on Pinterest: https://www.pinterest.com/tataharper/; Follow Tata Harper Skincare on Instagram: https://www.instagram.com/tataharper/; Subscribe to Tata Harper Skincare on YouTube: https://www.youtube.com/user/TataHarperSkincare; and Follow Tata Harper Skincare on Google+: https://plus.google.com/107723520182539873975.